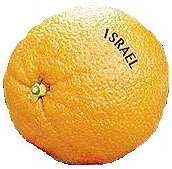 Sometime in the years of 1952-1955 while living in the French Sector of Occupied Germany, my mother handed me an orange with “ISRAEL” stamped on it in purple-blue ink. She would not let go until she explained ISRAEL. I was in awe by the time she was done, and almost could not bear to eat the orange, preferring to sit and stare at those purple letters. Running out to my favorite spot looking down from the top of the mountain into the valley, I sat and ate that orange. I could not figure out what mom was explaining and how it related to me. Little did I know that that question would consume me for the rest of my life---to this day. I could write a book in explanation. Suffice it to say that the mutually exclusive statement “You are a Jew or a Christian.” covers it, but will never begin to explain the utter trauma perpetrated by that church based “Replacement Theology” statement. Growing up in “the church”, the family studiously avoided any discussion of being “Jewish”. We were Christian! Through the years I got very good at the hiding. I was active in the Lutheran Church as an “intellectual Christian” and spent 25 years selling for a Lutheran based organization. Somewhere in the 1980’s I had a sales appointment in downtown New Haven Connecticut. Being early, I went into Macy’s to look around. As I was looking at something, I heard a woman say something to me. Absentmindedly, I said: “I’m sorry I did not hear you.” She looked straight at me and repeated herself. I stepped closer saying, “I’m sorry, I still could not understand you.” She looked at me with complete disgust. As she turned, walking away, she changed to English spitting out: “Didn’t they teach you Hebrew?” By the time my shock subsided, I sadly, quietly said to no one: “No”. Lakewood High School, Lakewood, New Jersey was my school for ninth and tenth grades. Being in the band, I invited a young lady to join me for pizza after we played the half time show and then go see a movie. She was very positive, but said she would have to get back to me the next day. I was relieved that she seems positive! The next day, with a downcast look she quietly said to me: “I can’t go with you because you are not Jewish.” Instantly I simultaneously spoke and bit my tongue mumbling: “BUT I AM!” Those words never saw the light of day. Fast forward to 1999. I stood up in the middle of a Lutheran Church service mumbling to myself: “I don’t believe this church and there is no god.” With that I became an atheist for six years. Finally by a miracle straight out of the book of Acts YAH showed me that HE is REAL! Two years later by another miracle HE “helped” me to go to a Messianic Jewish Congregation. At that Shabbat service a 50 year old recurring dream was fulfilled, confirming my attendance at Shabbat. Finally I realized that I could be who I am, a Jew, and believe in Y’shua. The lifetime curse of the church’s Replacement Theology was for me finally broken! One question at the end of the service curdled the sweet milk. “Is your Mother Jewish?” My answer: “My Father is Jewish.” So now, on that great day, it’s all sour again! 1. But now, thus said יהוה, your Creator, O Ya‛aqoḇ, and He who formed you, O Yisra’ĕl, “Do not fear, for I have redeemed you. I have called you by your name, you are Mine. 2. “When you pass through the waters, I am with you; and through rivers, they do not overflow you. When you walk through fire, you are not scorched, and a flame does not burn you. 3. “For I am יהוה your Elohim, the Set-apart One of Yisra’ĕl, your Saviour; I gave Mitsrayim for your ransom, Kush and Seḇa in your place. 4. “Since you were precious in My eyes, you have been esteemed, and I have loved you. And I give men in your place, and peoples for your life. 5. “Do not fear, for I am with you. I shall bring your seed from the east, and gather you from the west. 8. He shall bring out a blind people who have eyes, and deaf ones who have ears. 10. “You are My witnesses,” declares יהוה, “And My servant whom I have chosen, so that you know and believe Me, and understand that I am He. 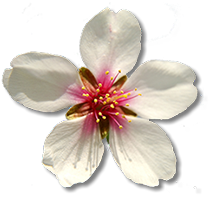 Before Me there was no Ěl formed, nor after Me there is none.